Persistent System’s engineers meticulously designed the Auto-Tracking Antenna System for precision, simplicity, and real-world performance. From the system’s simple carrying cases to its modular feed design, the Auto-Tracking Antenna System delivers the distance and throughput for the mission. 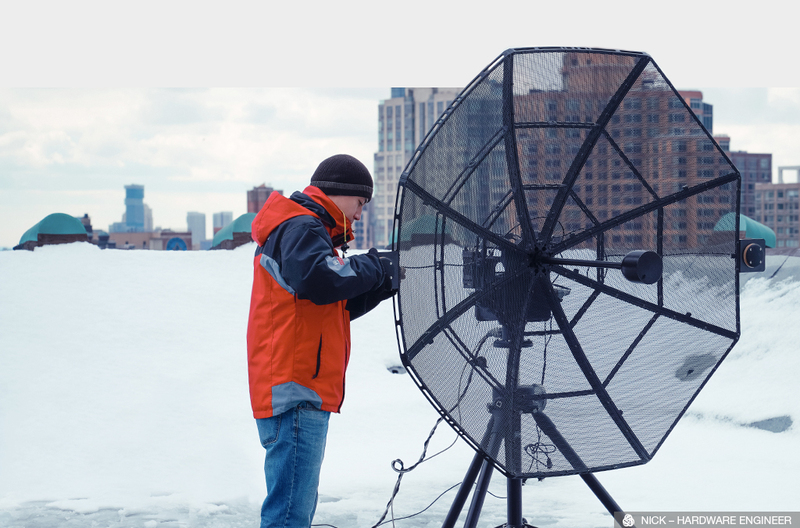 The assembly of the 5 ft. parabolic dish is both fast and precise. Keyed petals ensure perfect alignment. Hand-tightenable fasteners enable a single person to assemble the dish in under five minutes. The fasteners are spring loaded and captive to each petal, ensuring quick assembly and no lost hardware. The dish also disassembles quickly into eight petals for easy transport and compact storage. 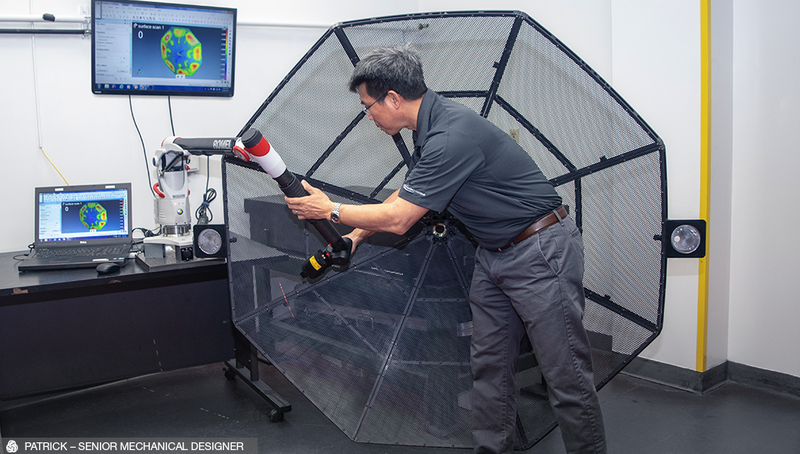 Extremely accurate pointing requires close attention to tolerances of every component in the system. A laser based optical inspection system measures each dish to ensure that the parabola is within specification. Careful engineering ensures that users achieve the maximum possible range and performance. The Auto-Tracking Antenna System includes a set of L-Band, S-Band, and C-Band interchangeable MIMO feeds. These (3) feeds cover all of the frequency bands over which Persistent’s (5) Radio Modules operate, allowing the tracking antenna to operate on any existing MPU5 frequency band, thus supporting the Interchangeable Frequency Architecture. The feeds twist-lock into place for quick and simple installation. 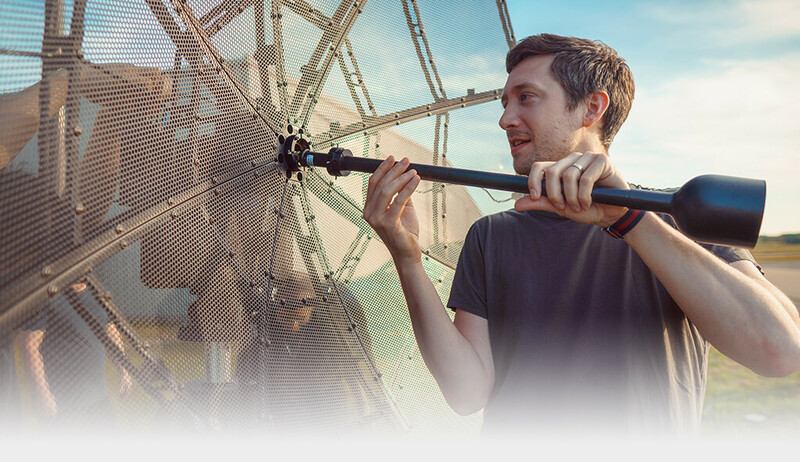 The feeds can be quickly installed for Horizontal / Vertical Polarization or Slant Left / Right Polarization to match the antenna configuration on the air platform. Harsh winds. Torrential downpours. Frigid temperatures. Blinding snow. The Auto-Tracking Antenna System was designed to withstand the harshest of elements while still providing optimal connectivity when it matters most. 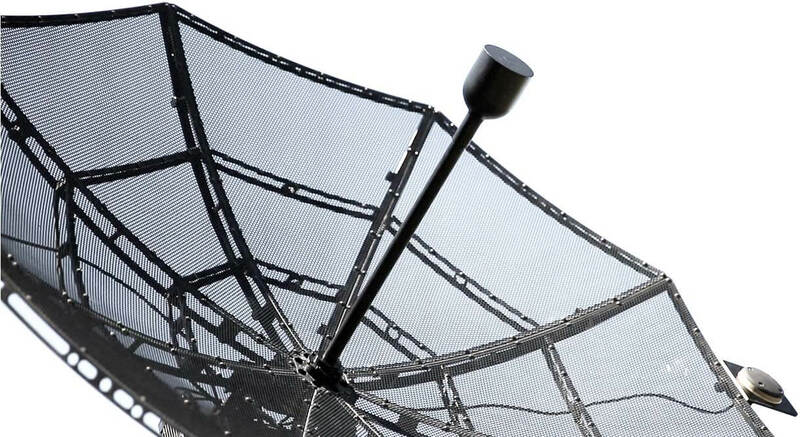 The parabolic dish and supporting hardware are hard anodized to withstand the elements. The perforated petals reduce the wind-load of the system. The petals have a welded aluminum frame to provide rigidity, while minimizing weight.